TRUSST is constructed with modular aluminum components that are manufactured from high-grade and lightweight aluminum which is easy for transportation and setup. All TRUSST items are fabricated by SLV certified welders and made from 6082-T6 alloy aluminum. 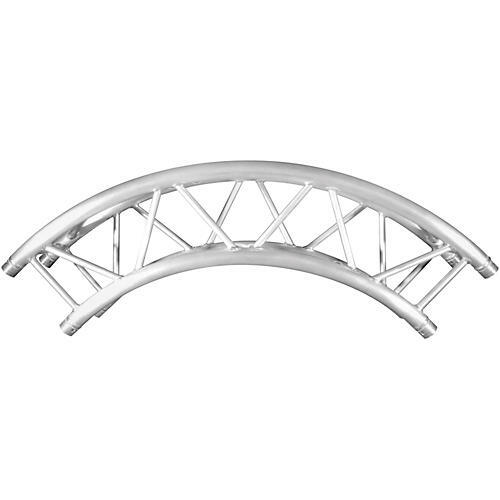 The CT290-420CIR-90 arc truss with an outside diameter of 2.0 meters (6.56 ft) and an 90 arc is compatible with many TRUSST accessories and ideal for a multitude of applications and designs when used in combination with TRUSST Sticks, Corners, Base Plates, Accessories and Clamps.